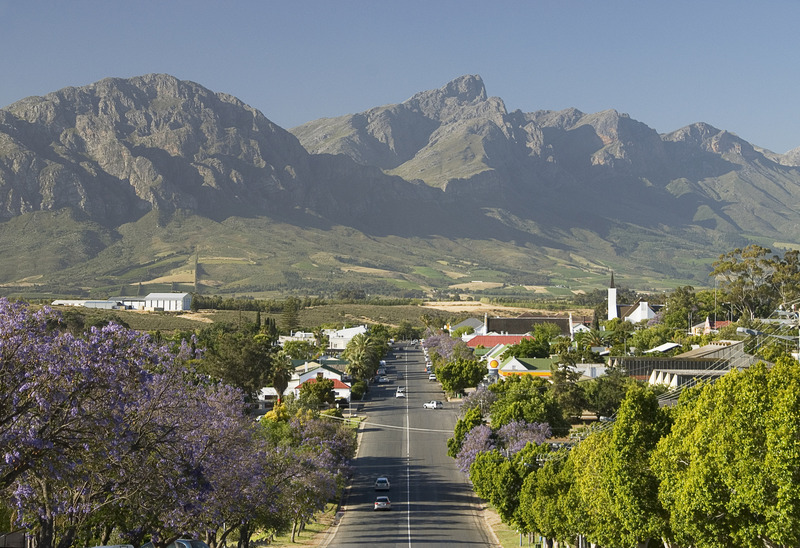 Tulbagh is a charming, historic small town about an hour and a half from Cape Town. Nestled in an amphitheatre created by the Winterhoek, Witzenberg (hence the Witzenberg Municipality) and Obiqua mountains, the area offers outstanding natural beauty and is known for its country living and hospitality. The valley has been inhabited for millennia by indigenous Bushmen and Khoi people but was ‘discovered’ in 1658 by Pieter Potter, the surveyor to the first Governor of the Cape, Jan van Riebeeck. 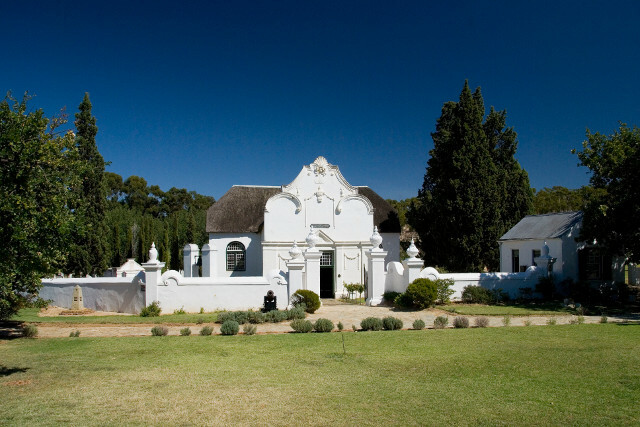 The area was initially settled in 1699 by a handful of pioneering farmers but the town itself was only really established when the church was built in 1743, at which point the townspeople chose to name it after the Cape Governor of the time, Ryk Tulbagh. Tulbagh was once a bustling town - the last civilised stopover for those en route from the Cape of Good Hope to the unchartered interior. Now it evokes a bygone era, it’s not difficult to imagine those early settlers reaching the tranquil valley and deciding to put down roots in the rich soil. However a devastating earthquake, the most destructive in South Africa’s history, struck the town in 1969 and reshaped Tulbagh’s future. From the rubble Church Street has been painstakingly restored and now boasts a wealth of Cape Dutch architecture which has protected status as national monuments. The town is a delight for architecture enthusiasts since it is rare to find such a concentration of historic buildings still in everyday use. The above photo is of the Tulbagh Valley, and from the top to the bottom of the photo you can see the Witzenberg Mountain range. The clouds at the top of the photo have gathered under the mountain peaks called the Tooth & Sneeugatpiek. This view can sometimes be seen as aircraft enter the Western Cape on their way to landing at Cape Town International Airport. Here's a map showing the way from the centre of Cape Town to Tulbagh. 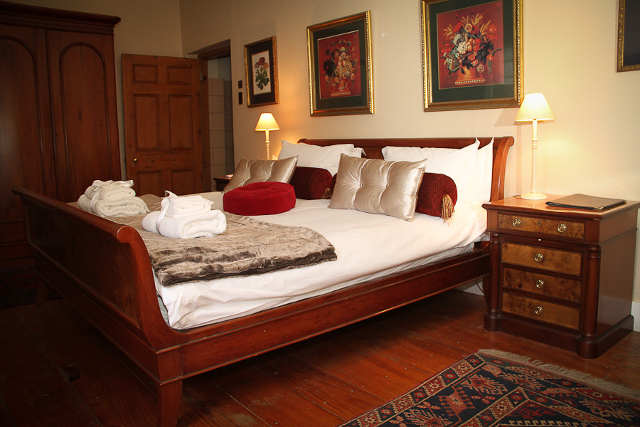 It assumes you're staying at the Tulbagh Hotel but it's easy to adjust. Tulbagh has made a name for itself over the last few years as a wedding destination and there are a plethora of places to stay. Be careful though as some are run by more dedicated hosts than others. In the centre of town the Tulbagh Hotel has easy access to the main amenities and the Olive Terrace Bistro, the hotel restaurant, is one of the best places to eat. The Winterhoek Manor is part of the hotel and is the highlight; one of the oldest buildings in Tulbach, it has been recently renovated and has three luxuriously comfortable rooms. The hotel is owned by a pilot who has put his experience of hotels around the world to good use, kitting it out with everything you could possibly need to make your stay comfortable (ask him for tips to get a cheap flight to Cape Town for your visit). Staff are friendly, helpful and unobtrusive. 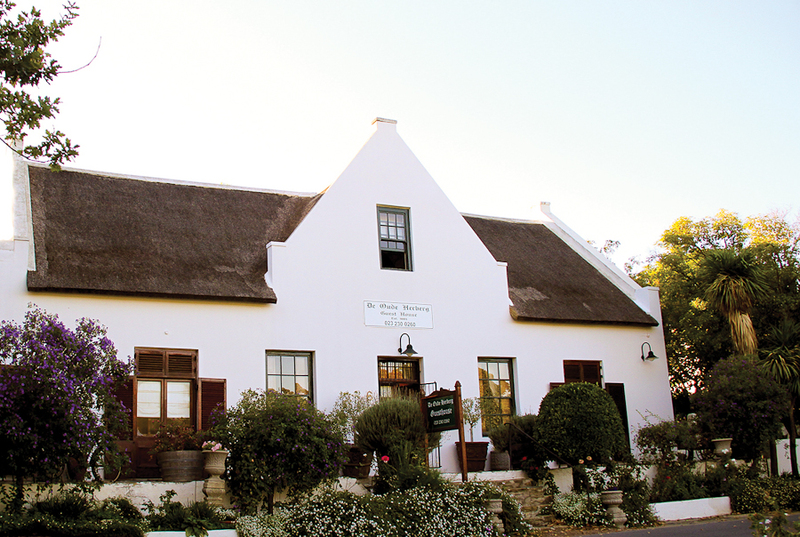 De Oude Herberg is on Tulbagh’s historic Church Street and has been a B&B since 1885 so it really lives up to its ‘old inn’ name. There are four comfortable, old-fashioned double bedrooms which each have ensuite bathrooms and air-conditioning - you’ll need it in the baking Tulbach summer. The highlight of a stay here is the three course dinners; it’s a set menu which changes daily and takes advantage of good quality ingredients accompanied by a sophisticated wine list. Vindoux Luxury Tree houses are a step away from conventional accommodation. Set on a family farm, the tree houses sleep two people and have ensuite bathrooms (complete with spa baths!). You also have your own private stoep overlooking the surrounding farmland framed by the mountains. Dinner can be delivered to your tree house and there’s an extra special tree house for honey mooners. Montpellier, named after the French city by its first Huguenot owners, is an ideal country getaway for those who enjoy old-school sophistication. 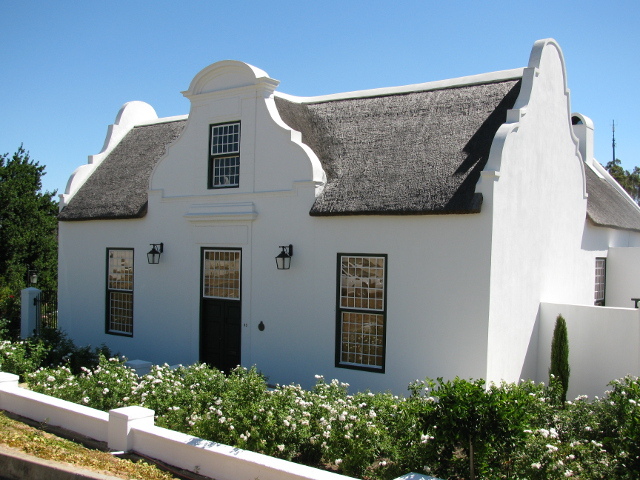 The elegant house dates from 1714 and it’s easy to see why it’s a national monument as it still boasts many original features – thick walls, thatch on the roof and beautiful wooden floors, as well as the ubiquitous white gable of the Cape Dutch style. There’s also an extremely picturesque hillside chapel. Guests are invited to roam around the vineyards and there’s a good sized swimming pool to cool off during the hot summer days. Breakfast is included. Tulbagh may look like a two horse town but when you scratch the surface you’ll find there is masses to keep you occupied. You’ll soon find that the spreading of news via the grapevine and local gossip is alive and well. Be careful on the weekends though as lots of places are either closed entirely or close early. However, by prior arrangement, they will often open for you if you ask nicely. Art Gallery: The Christo Coetzee Gallery (Main Road) is housed in the former 17th century mission school which has been lovingly restored. It showcases the work of the famous South African assemblage and neo-baroque artist who chose to live part of the year in Tulbagh from the 1970s until his death in 2000. Walking Tours: Every Sunday at 11am, local historian Jayson Clark leads an hour and a half walking tour through Church Street, including interiors of heritage buildings. It’s an opportunity to learn more about the early pioneers to the area, the town’s history and role as an outpost of the Cape Colony, as well as the development of the distinctive architecture. 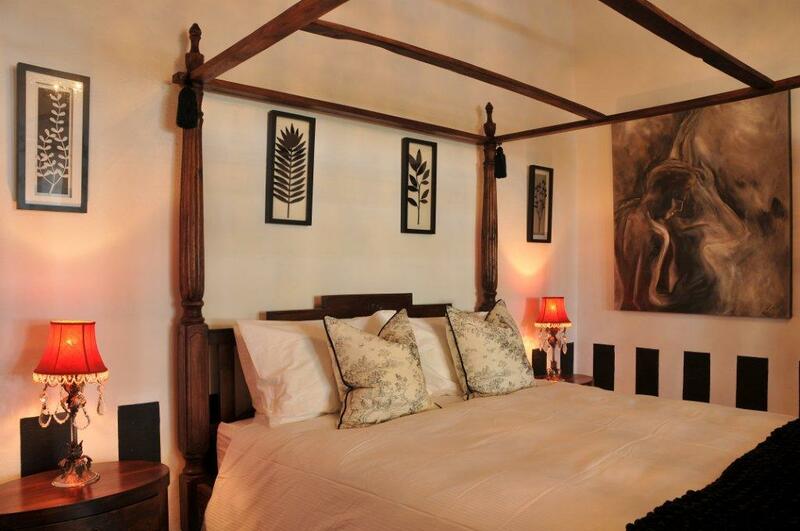 Bookings through Cape Dutch Quarters. Museum: The Earthquake Museum, next to Tourist Office in Church Street, has an interesting collection of old photographs. The exhibition explores the valley’s history as well as showing visitors the impact on Tulbagh, short and long term, of South Africa’s most devastating earthquake. Spa: If you’re in need of a little pampering you should head to Vindoux Day Spa where they use natural Fynbos inspired therapies with an Eastern twist to ‘Relax, Restore and Revive’. The spa menu includes everything from the usual manicures and pedicures to reiki healing and the rather more out there ‘couples re-unite massage’, which involves a full body de-stress massage and body scrub for you and your partner in a couples room . Alternatively if you are looking for more conventional treatments and would prefer to stay in town then contact Anel who runs the health and skincare clinic Derma New. 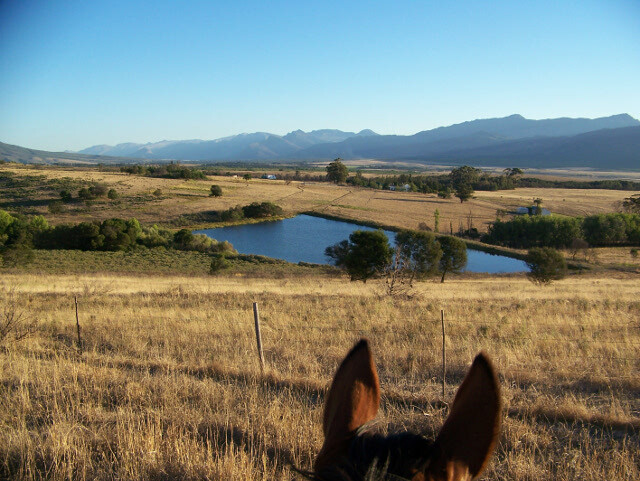 Riding: Horse About is a hidden gem just outside Tulbagh. As Churchill said ‘There is something about the outside of a horse that is good for the inside of a man’ and time spent horsing about is well worth it. Jo and John, who run it, are very experienced horse people and their horses are beautifully looked after, as well as being properly schooled. No naughty riding school ponies here! There are a variety of stunning scenic trails carved into the foothills of the Witzenberg Moutains, through the vineyards and forest. Lessons and trail rides vary in length from an hour or two to multi-day trips tailored to you. It’s suitable both for those seeking a bit of adventure on holiday, for more serious riders and for those who want to experience the freedom of the great outdoors. Hiking: There are two main hikes from Tulbagh – the Murludi to the North and the Silwerfontein to the South. The Murludi route offers two interlinked trails, an easy 4km river trail or, leading on from that, the more demanding 10km Elsbos route. Both cross numerous mountain streams so fresh water isn’t an issue and you can expect to see mountain fynbos, duikers, grysbuck and sometimes klipspringers. If the weather is good you’ll enjoy panoramic views of Tulbagh and even Table Mountain, 130km away, can be seen on a clear day. The Silwerfontein hike can be tackled in one day or two. If you choose the long version you can spend the first night in a converted double decker bus (don’t worry, there are shower and toilet facilities!) and the second enjoying spectacular lake and mountain views from Ontongs cave (only a long drop here! ), just below the 815m summit of Ontongskop. Passes are available from the Tourist Office on Church Street. Zipslide: If you’re looking for a novel way of getting about or fancy yourself in a James Bond movie, you might like to try the Ceres Zipslide Adventure, about twenty minutes outside Tulbagh. Eight consecutive lines take you on a 1.4km journey through Skurweberg mountain scenery. Reassuringly the equipment is modern and the guides are trained! Honey: On the R46 just outside Tulbagh going towards Ceres is the Farmyard Honey Factory. It’s a small shop but sells high quality honey and honey products. Cheese Farm: Kimilili Cheese Farm is hard to find (you need the Boontjiesrivier turning from the R46) and is down a really terrible dirt road but it’s the real deal when you get there. Along the way you’ll spot the cows lowing in the fields, the picture of a rural idyll. The cheese is hand crafted in the French and Swiss tradition using milk solely from the cows reared and pasture fed on the farm. Raw milk, cheese cultures, microbial rennet and salt go into the award winning organic cheeses, nothing else. It’s well worth a visit to the farm to learn more about the process and try some delicious ‘real’ cheese. By appointment only at the weekends. Wine Tasting: Tulbagh isn’t as focused on wine as major areas like Stellenbosch, Franchhoek and Robertson but there are a few really good wineries that are worth visiting. Waverley Hills has a brand spanking new wine tasting centre for their organically produced wines and a restaurant. As ‘organic’ wine suggests, the focus here is very eco-friendly and there are fantastic views from the winery over the vineyards and the fynbos. It is also an olive estate and you’d be a fool to go home without trying the olive tapenade with chilli. Twee Jonge Gezellen is home to Krone, the méthode cap classique sparkling wines named after the family who until recently owned the estate. The family have farmed here since 1710 making it one of the oldest family owned farms in South Africa although it has recently been bought by Vinimark. Saronsberg is home to another well designed contemporary cellar built on land which was originally part of the Twee Jonge Gezellen estate. 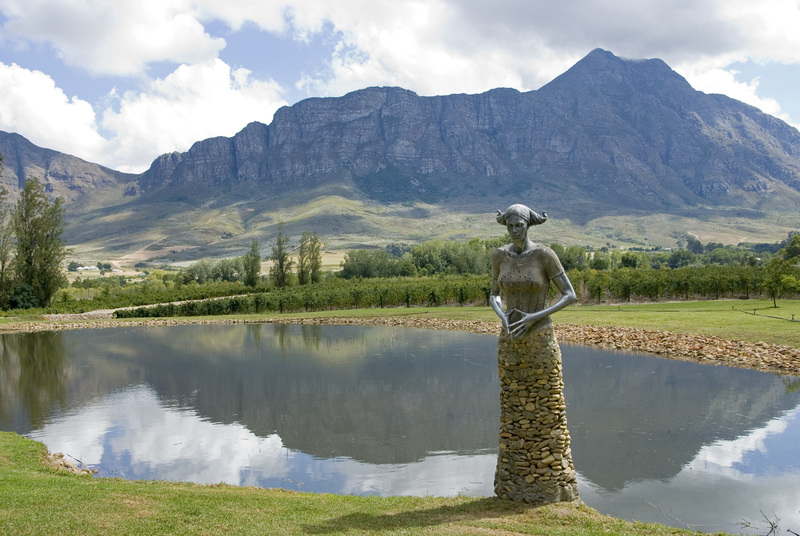 The view of the Saronsberg Mountains is reflected in the dam and the 2.5m sculpture by Angus Taylor is like a totem watching out over the estate which is known for its love of art as well as good wine. Here's a map showing the way from the Tulbagh Hotel to Waverley Hills (you can adjust it to choose a different start point). Fruit tasting: One of the things Tulbagh is known for is its dried fruit. Go to the originally named ‘Tulbagh Dried Fruit’ where you can try the sun-dried fruit of the valley. Take the R44 towards Cape Town and follow the signs down a dirt road. Theatre: For such a small town it’s rather surprising that there is such a well-supported theatre. Based at the Saronsberg winery. For details of what's on have a look at the theatre section of the Tulbagh Tourism website. 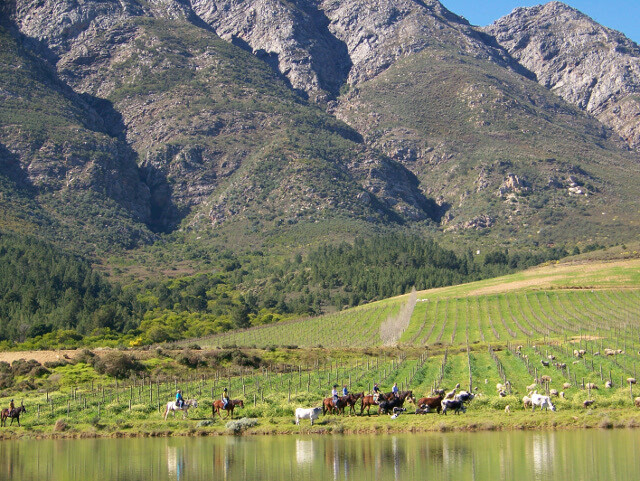 Festivals: There are various annual festivals in Tulbagh. During harvest season (around February depending on the weather) there are night harvesting dinners. In June the town comes alive for ‘Christmas in Winter’ when a European style Christmas, complete with holly, is celebrated. And in September there’s the Spring Arts Festival, followed by a display of a combination of two of the valleys most treasured assets in the Tulbagh Horse and Wild Flower show (Tulbagh hosted South Africa's first wild flower show in 1891...closely followed by Caledon). In November there’s a Christmas market and ‘Summer Elegance’ in December offers a chance to experience country living while enjoying Twee Jonge Gezellen’s famous Krone bubbly. The Waverly Hills winery mentioned above also has a fantastic restaurant open for lunch and dinner on Fridays. If the weather is good you really want to sit on the terrace to soak up the unspoilt views. The menu is relatively small but everything is freshly prepared and the chef even makes time to come and chat briefly to guests himself. The pizzas, fired in a wood oven, are generous and scrumptious. On the R46 towards Ceres. 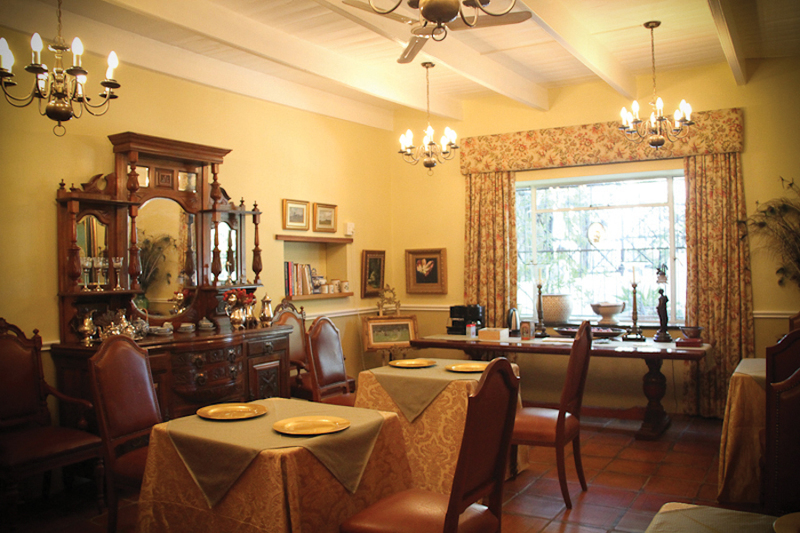 De Oude Herberg guesthouse is well known for providing excellent dinners and non-guests are also welcome. The set menu, which is very good value at R175 for three courses, changes every night. It might include something like shrimp cocktail followed by a choice of monk fish with a wine and oyster sauce served with pasta or kudu steak with quince jelly served with potato and onion bake and, the rather mysteriously named, ‘Italian kisses’ for pudding. Church Street. The Belgian Kitchen gets mixed reviews from locals but all agree the food is delicious with a focus on traditional Belgian fare like moules frites and steak followed by a decadent pudding. The restaurant is decorated by the owner’s own art work reflecting her time in Africa. Church Street. It's a hop, skip and a jump from the Tulbagh Hotel to Church Street. This adjustable map shows you how to get to the Belgian Kitchen. Paddagang (which means Frog Way) on Church Street is well established -it goes back to 1871! It has a good reputation locally and the focus is on Cape Dutch and Cape Malay cooking. The Olive Terrace on Main Street is a favourite with locals. Consistently good, they are open for breakfast, lunch and dinner and are the definition of ‘service with a smile’. Ranked number one place to eat in Tulbagh by TripAdvisor. The Harvest Table Bistro at Winterberg is a real find. A lovely ambiance with log fires in a cosy sitting room for winter days and an airy stoep for the summer, they offer excellent service and an interesting menu which is outstanding value for money. Try the Persian chicken wrap. 1891: Tulbagh hosts South Africa's first wild flower festival.